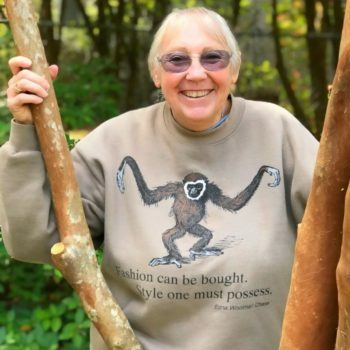 Debbie Misotti, long-time friend of IPPL and Founder of the Talkin' Monkeys Project, came for a visit. 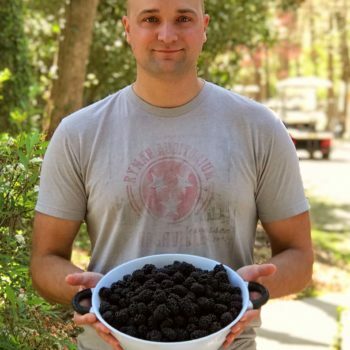 IPPL caregiver, Wes, shows some of the extra-large blackberries that were handed out to the gibbons as a special treat. 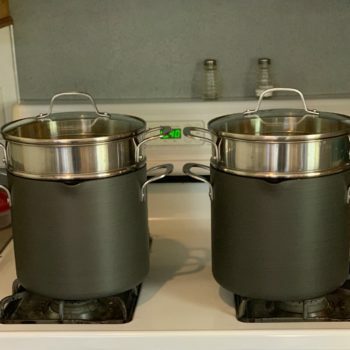 These new steamer pots will help make gibbon food prep quick and easy. 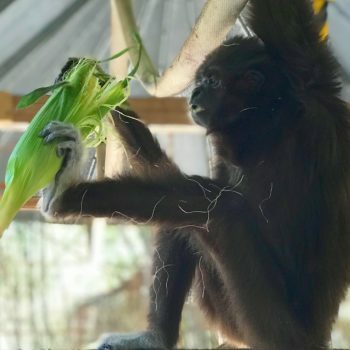 Gary uses his hand and foot to get at his fresh corn, peeling back the leaves of the husk. 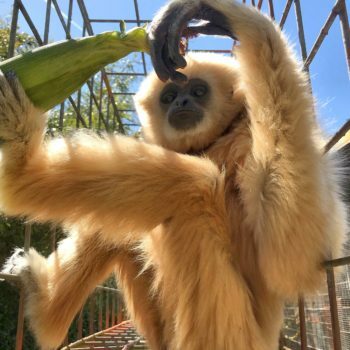 Shanti enjoying fresh corn on the cob. See the corn silk on her dark, black coat? 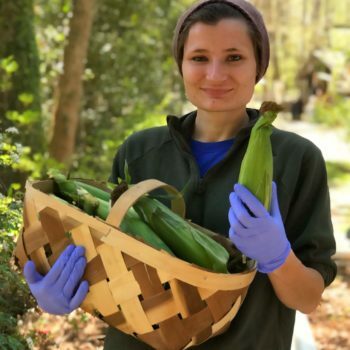 IPPL caregiver Jamie is shown here just as she was ready to hand out corn on the cob, which many of the gibbons love to eat. Prickly pears are also known as cactus fruit. They look a little like a bumpy mango on the outside but are absolutely beautiful on the inside. As you can see in the photo, our sweet Mia didn’t hesitate to try hers out. These unique fruits were quite a hit and made for a wonderful treat! Aren’t they colorful? Mia enjoying a piece of fresh cactus fruit. 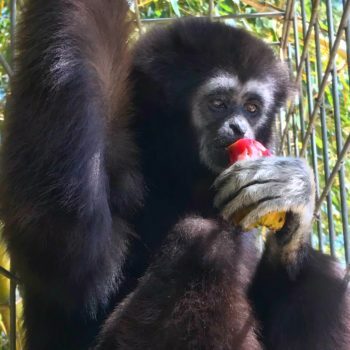 The gibbons are always happy to see their caregiver Sydney, but were extra, extra happy to her with fresh cactus fruit. 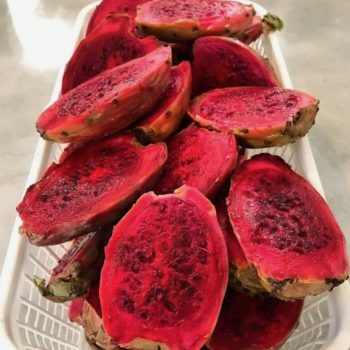 The inside of the prickly pear is bright red and makes for juicy gibbon fingerprints afterwards. Thank you for visiting us, Debbie. Please come back soon. 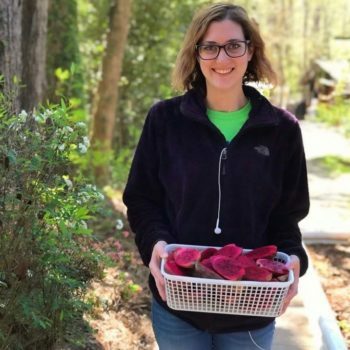 On behalf of the gibbons and staff of IPPL, we want to say a big THANK YOU to Debbie Misotti for her kindness and generosity. We are already looking forward to her next visit!